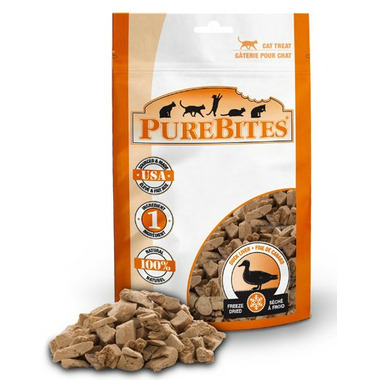 PureBites cat treats are made with only 1 ingredient; 100% Pure USA Sourced & Made Duck Liver. Cats love the taste of PureBites because their treats are freeze dried RAW to lock in the aroma, texture and freshness they crave. Cat parents love PureBites because their treats are 100% pure and rich in nutrients for a happy and healthy life.